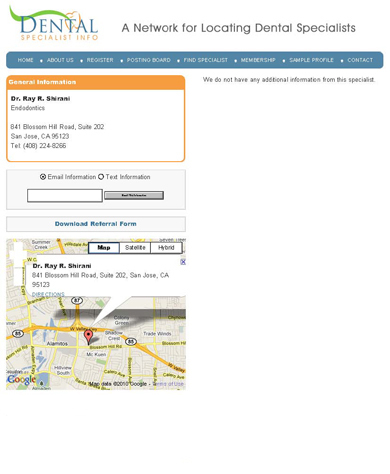 of results. 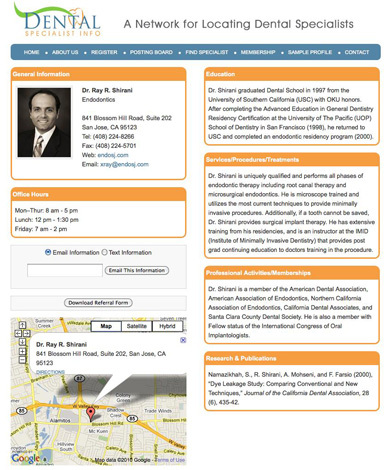 For example, in a search by San Jose and Endodontics, Dr. Shirani is featured first (of 12) as a Premium Member. 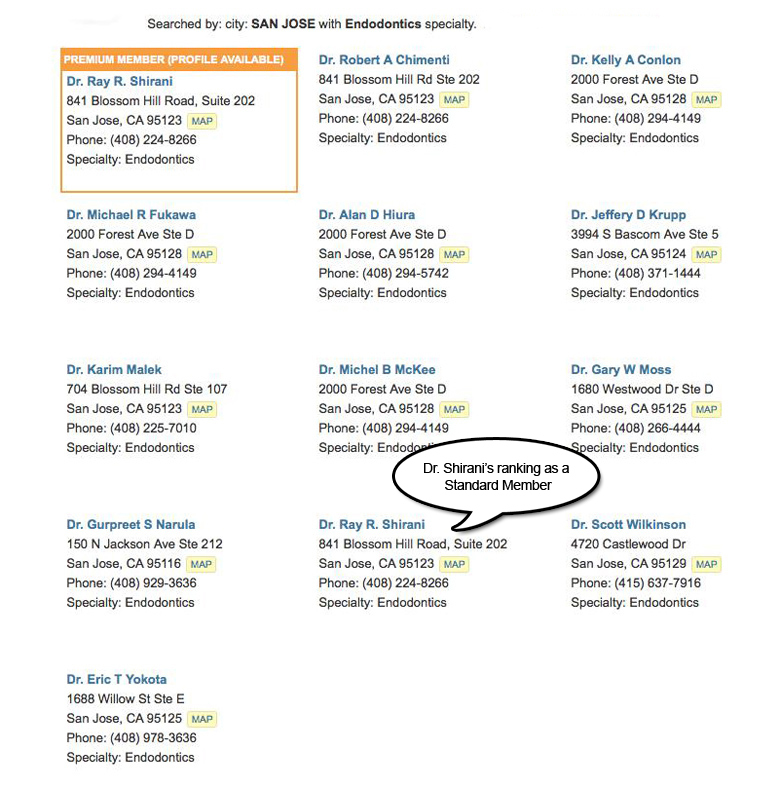 As a Standard Member, Dr. Shirani's listing drops to number 10 out of 12. Differences in rankings are more dramatic for larger cities.